Comprehensive Community Health Centers	Your Health, Our Mission. Comprehensive Community Health Centers, Inc. (CCHC) is a Federally Qualified Health Center (FQHC) and a California Non-Profit Public Benefit Corporation. CCHC is among the top community health center systems in Los Angeles County having grown in health service visits from 45,000 in 2004 to over 127,000 in 2016. Here at CCHC, Your Health is Our Mission. CCHC serves as a medical home to a diverse population, including low-income and underserved individuals and families. CCHC gladly serves a large immigrant population including Latino, Armenian, and Asian populations. CCHC opens its doors to patients from all demographics and cultures. We are excited to accommodate individuals from all walks of life and to ensure everyone gets the health and wellness services they need. Are you in need of health and wellness services? Contact Us! CCHC is licensed by the State of California, led by an independent Board of Directors and is a FQHC Program grantee under 42 U.S.C. 254b. CCHC receives HHS funding and has Federal Public Health Service (PHS) deemed status with respect to certain health or health-related claims, including medical malpractice claims, for itself and its covered individuals. It is the mission of CCHC to ensure the health and wellness of each individual so every person may reach their fullest human potential within a caring environment. CCHC’s vision is to increase access to high quality health and wellness services. We provide a medical home of sensitivity, respect, and trust. We provide everyone with accessible, culturally-appropriate, high-quality health and wellness services. We evolve to meet the health and wellness needs of our community. We use best medical practice standards in providing a continuum of care for all. We collaborate with others to advance the well-being of everyone. Ms. Arredondo received her medical degree from California State University, Long Beach in November 2011. 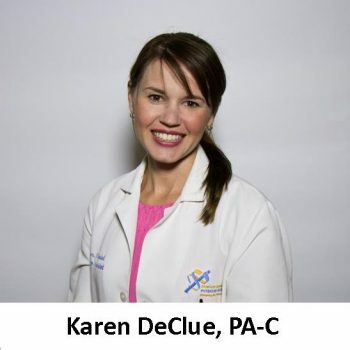 Since, she has practiced at notable clinics including: Salud Digna Clinic, Florence-Hooper Family Medical Clinic, and Dr. Mayer’s Women’s Clinic. 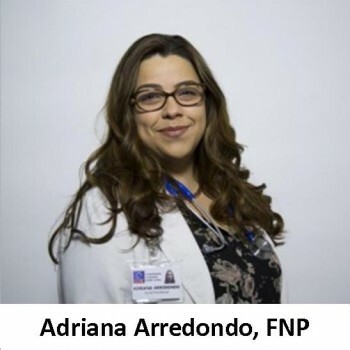 Ms. Arredondo has a unique combination of strong practitioner/nursing skills and strives to provide the best health care possible. She believes in building a long lasting and trusting relationship with patients and customers. She seeks to acquire a comprehensive evaluation of every patient by taking time to listen and understand their particular needs. Her true desire is to enhance a positive healing experience and confidence to those in need. She strives for quality care above all else. Ms. Arredondo is fluent in Spanish. She loves to play voleyball is a big Dodger fan! 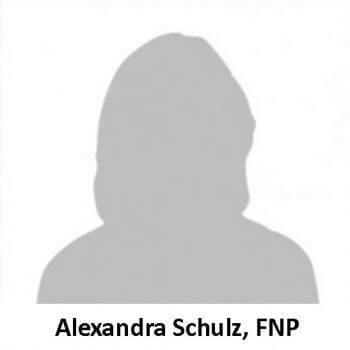 Alexandra Schulz is a board certified family nurse practitioner. She earned a BA from UCLA then obtained her BSN and MSN degrees from Cal State Los Angeles. She is passionate about providing high quality care with an emphasis on patient education. 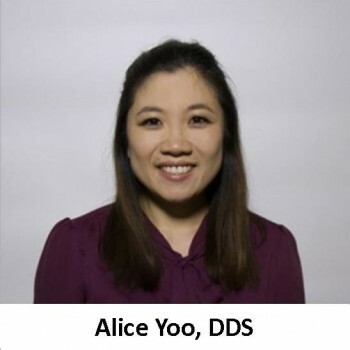 Dr. Yoo received her dental degree from Ostrow School of Dentistry in 2013. She has a combination of experience at both private and community health clinics, including Rancho Smile Dental Group and John Wesley Community Health Institute. Dr. Yoo speaks English, Spanish and Korean. In her free time, she enjoys yoga, cooking, and hiking with her husband and dog. Ms. Vega attended UCSD and earned her B.S. in Science. Ms. Vega received her medical degree from Western University of Health Sciences in Pomona, CA. Since, she has completed her rotations at various community clinics including East Valley Community Health Center and Velez Clinic. She has been working at CCHC since 2005 and is fluent in Spanish. Ana has also provided community services at AIDS project as well as UCSD Medical Center. She loves spending time with her kids and scrapbooking their exciting lives. 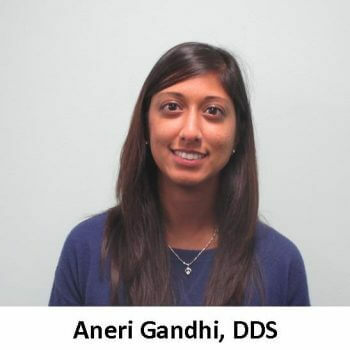 Dr. Aneri Gandhi is a Board Certified Pediatric Dentist. She completed her undergraduate degree at UCLA, followed by her dental degree at the University of Southern California. After dental school, Dr. Aneri completed 2 years of a specialized pediatric dental residency at Montefiore Medical Center in New York. She now lives in Pasadena with her husband. 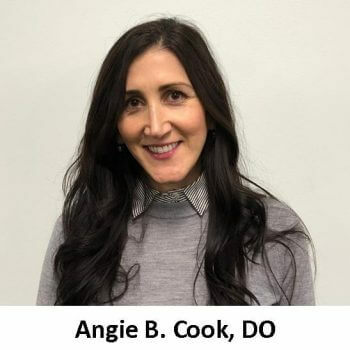 Dr. Cook is a board certified pediatrician where she received her medical degree from Touro University College of Osteopathic Medicine in 2009. She continued her education by completing her residency in Pediatrics at University of South Florida. She is fluent in French and Farsi. Dr. Cook enjoys tennis, traveling and spending time with her family. 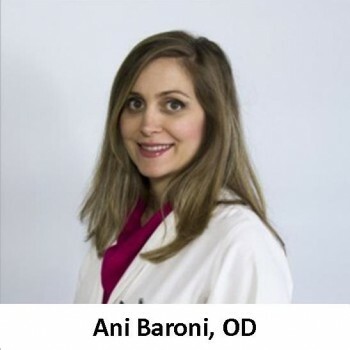 Dr. Baroni received her medical degree from Nova Southeastern University College of Optometry in Fort Lauderdale, FL in 2008. She has been practicing at CCHC since August of 2008 and is fluent in Spanish, Armenian, and Farsi. She lives in Los Angeles with her husband and two children. When she has vacation time, Dr. Baroni loves traveling to the Caribbean with her family. Dr. Kartounian received her degree from the Tufts School of Dental Medicine in Boston, MA. She is a general dentist and has been practicing dentistry since 2009 treating children and adults alike. Dr. Kartounian is fluent in English and Armenian. She enjoys being with her family and playing the piano in her free time. 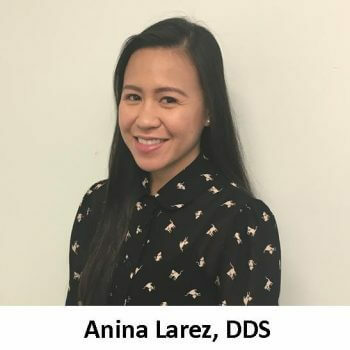 Dr. Anina Larez, DDS received her Doctorate of Dental Surgery from University of Southern California. She has been practicing since 2015, however, she has been serving dental patients since 2007. She believes strongly in CCHC’s mission and goal to provide the best treatment possible to meet the health and wellness of its community members. In her free time, she enjoys cooking and spending time with her family and friends. 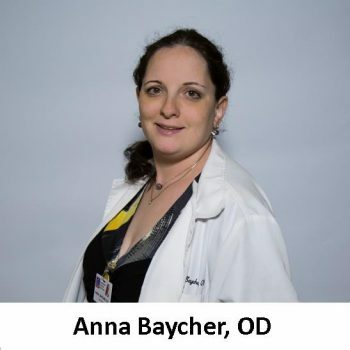 Anna received her education from Southern California College of Optometry and has been practicing since 2012 although she has been in the field since 2007. She is fluent in Spanish/Russian and enjoys poetry, reading, bowling, and skiing. 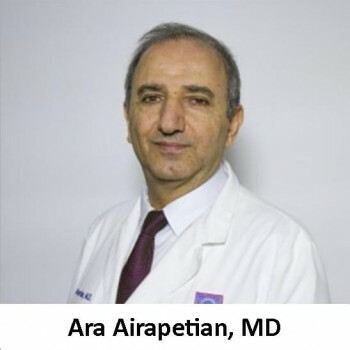 Ara Airapetian, MD. is the Medical Director of CCHC. He received his Bachelors of Art in Biology and Doctor of Medicine degree in Armenia. He completed Residency at Harbor UCLA Medical Center for General Surgery. Dr. Airapetian joined CHCC in 2004, as an Internist and was promoted to Medical Director of CCHC in 2015. He maintains membership in AMA and has admissions privileges at Glendale Adventist and Glendale Memorial hospitals. Dr. Airapetian is fluent in both Armenian and Russian. Interests include Chess, Tennis, and Jazz music. 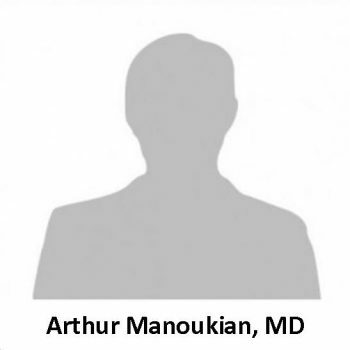 Dr. Manoukian is a physician specializing in internal medicine and has previously worked for notable organizations including City of Los Angeles and Health Care Partners. Dr. Manoukian has been practicing for over 20 years and is fluent in Armenian and Russian. 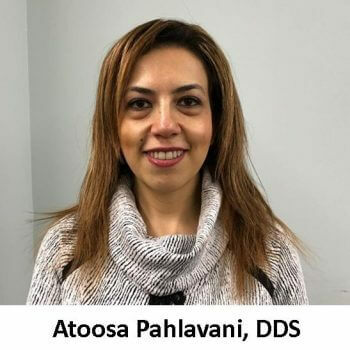 Dr. Atoosa Pahlavani is a graduate from University of Pennsylvania where she earned her DMD and also attended Islamic Azad University Dental Branch of Tehran and earned her DDS. She worked at AIDS Project Los Angeles Dental Center where she dedicated her time to provide oral health care services to patients. Dr. Pahlavani is highly motivated, has excellent work ethic and provides excellent care for her patients. 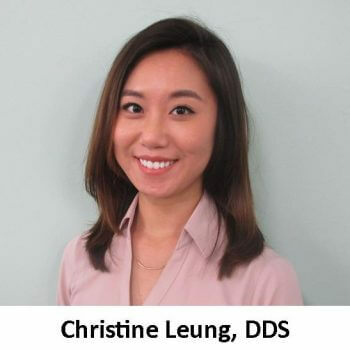 Dr. Leung received her dental degree from UCLA School of Dentistry in 2015. She is passionate about providing high-quality, comprehensive and minimally invasive dental care to patients of all ages. With each patient, she strives to provide comfort in a collaborative manner to achieve the best possible oral health. She is fluent in Cantonese and Mandarin. Dr. Tobay received her medical education from Research Institute of Obstetrics & Pediatrics in Bishkek, Kyrgyz Republic and joins us with over 15 years of previous experience. Amongst others, she has worked with organizations including Wilmington Community Clinic, Atlantic Pediatric Clinic, and Kaiser Permanente. 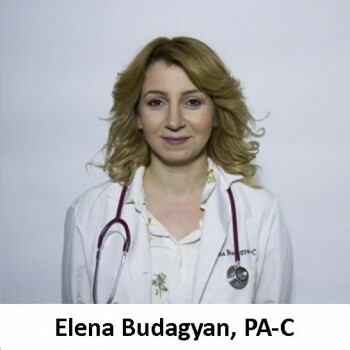 Mrs. Budagyan is a Physician Assistant and attained her degree from Charles R. Drew University of Medicine and Sciences in 2011. She has experience in Family Practice, Internal Medicine, Pediatrics, Geriatrics, and OB/GYN. She is fluent in Armenian and English. She enjoys working at CCHC and on her spare time loves traveling with her husband and two children. Dr. Gazarian is a General Dentist. He received his dental education at Midwestern University in Glendale, Arizona. Dr. Gazarian is fluent in English and Armenian. In his spare time, he enjoys playing soccer and working on cars. 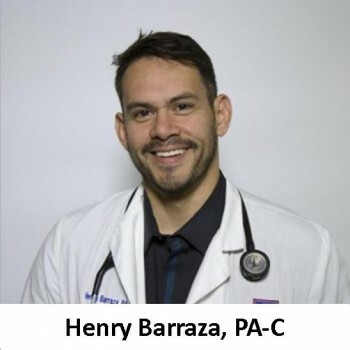 Mr. Barraza received his medical degree from Western University School of Health Sciences in 2002 and completed his clinical rotations in the areas of pediatrics, family practice, OBGYN, and neurology. Mr. Barraza previously practiced at Northeast Community Clinic as well as St. Johns Well Child and Family Center. He is fluent in Spanish. Mr. Barraza enjoys watching sports, traveling, and staying fit. 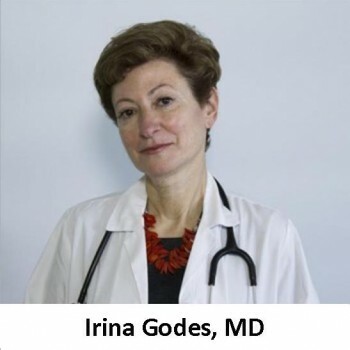 Dr. Godes is Board Certified by the American Board of Pediatrics and received her medical degree from Second State Medical School in Moscow, Russia in 1979. She continued her education through residencies and externships at Martin Luther King Medical Center and Kaiser Permanente, and is also fluent in Russian. Dr. Godes loves to work and when she’s not working, she loves to dance and spend time with her six grandchildren. Jazmine attained her medical education from Western University of Health Sciences and is a current member of Phi Alpha Sigma Theta Tau International Nursing Honor Society. Her previous experience includes working with Providence St. Joseph Medical Center. Among assessing and diagnosing patients, she enjoys spending time with family and traveling the globe. 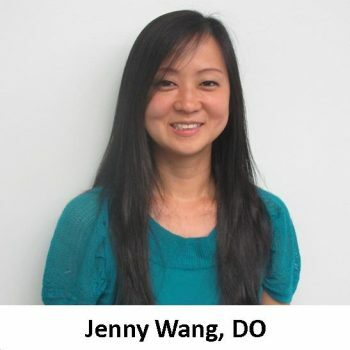 Dr. Wang received her Doctorate in Osteopathic Medicine from Midwestern University, Chicago College of Osteopathic Medicine and has worked with notable organizations including Lawndale Christian Health Center, Centro de Salud, and PCC Austin Family Health Center. In her free time, she enjoys traveling and hiking with her husband. 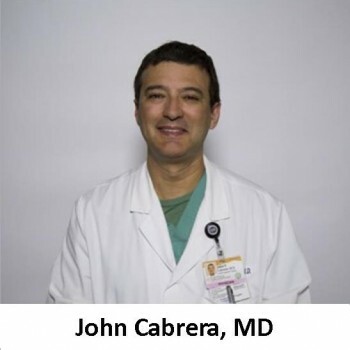 Dr. Cabrera attained his medical degree from Creighton University School of Medicine in Omaha, Nebraska in 1991 and completed his residency at Saint Francis Hospital of Evanston in Evanston, IL. His previous post-graduate experience includes having his own private practice as well as working at Arroyo Vista Family Health Center. He is licensed in both CA and IL, and is also fluent in Spanish. He enjoys spending time with his family. Dr. Ter-Zakarian received his medical degree from the School of Medicine in Yerevan, Armenia in 1976. He held his own practice for several years and is affiliated with the Queen of Angels Hospital in Hollywood, CA. He is fluent in Armenian, Russian, and Turkish. 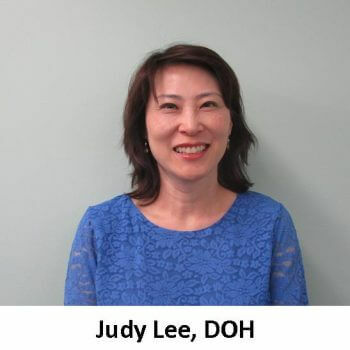 Dr. Judy Lee is a board certified pediatrician. Dr. Lee received a combined Public Health Master’s degree along with her medical degree at Tufts University in Boston in 1999. She interned at Babies and Children’s Hospital of NY. She finished her residency at Children’s Hospital of Los Angeles. When she is not working, she is busy being a soccer mom to her 3 boys. Mrs. DeClue earned her undergraduate degree in biochemistry and human development from UC San Diego. She then went on to study medicine at Quinnipiac University in Hamden, CT where she earned her Masters of Health Science and Physician Assistant Degree. 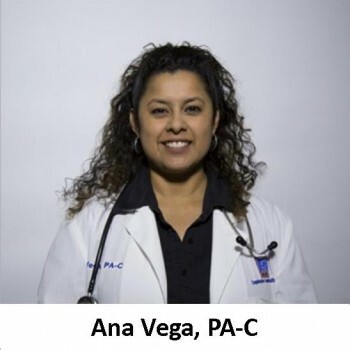 She is fluent in Spanish and has been practicing family medicine since 2009. While living in San Diego, Mrs. DeClue became a lifelong Chargers fan, and she still attends games every year. She also met her husband there, and they now have two beautiful daughters. 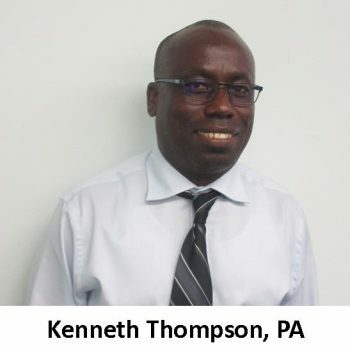 Kenneth received his Physician Assistant education at Charles Drew University and joins us with 5 years of previous experience working with Moorpark Family Practice/Superior Physical Medicine and Urgent Care. He is looking forward to continuing his passion of providing care to those in need. 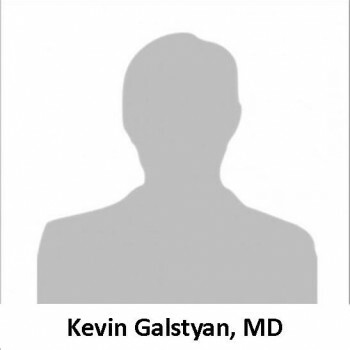 Dr. Galstyan is a Diplomat of American Board of Obstetrics and Gynecology. He received his medical degree from Yerevan State Medical University in Yerevan, Armenia in 1996. He completed his residency in Obstetrics and Gynecology at Mt. Sinai Medical Center in Chicago, IL in 2006. Dr. Galstyan is a Professor at Midwestern University, Arizona College of Osteopathic Medicine and is fluent in Russian and Armenian. He enjoys traveling and hiking with his family. 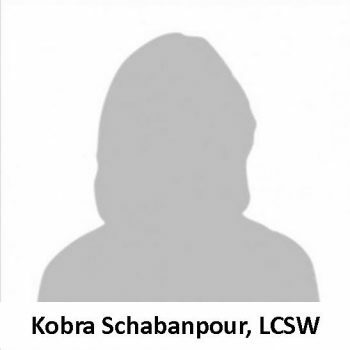 Kobra Schabanpour, LCSW attained her Masters of Social Work from the University of Applied Sciences in Jena, Germany and joins us with over 19 years of previous experience working with individuals, couples, and groups in both her own private practice as well as working with organizations including Davita North Glendale Dialysis and Good Like Adult Day Health Care Center. 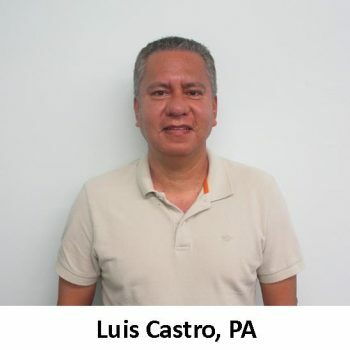 Originally from El Salvador, Luis emigrated to the U.S. and graduated from USC with his PA Certificate in 1994. Since, he has worked with notable organizations including Good Samaritan Hospital, South Central Family Health Center, and Los Angeles Medical Center. He is fluent in Spanish and enjoys reading, staying active with exercise – jogging, and watching movies. He is excited to be bringing his knowledge to CCHC while treating its many patients. Dr. Yousefpour is a Diplomat of American Board of lower extremity surgery with over 13 years of experience in Podiatry. He received his medical degree from New York College of podiatric medicine in 2003. He continued his education by completing a surgical residency at Jamaica Hospital Medical Center. He is fluent in both English and Farsi. His main focus is to take excellent care of his patients. 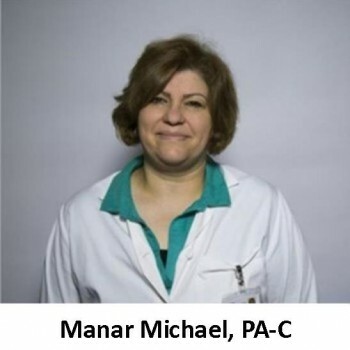 Ms. Michael obtained her degree of medicine and surgery from Ain Shams University in Cairo in 1989. In 2004, she received her medical degree from the University of California in Davis. Since, she has practiced at various clinics and hospitals including: Pacifica Hospital, Beverly Hospital, and Golden Valley Health Centers. She is also fluent in Arabic. Ms. Michael likes to serve her family. She enjoys being out in the open especially at the San Diego beaches and Palos Verdes. 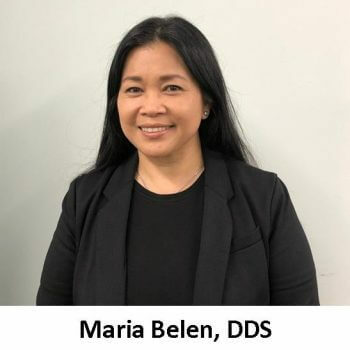 Dr. Maria Belen is a dedicated dental practitioner with many years of experience and knowledge of clinical procedures in different areas of Dentistry. Outstanding leadership and work ethic with integrity to her deeds and craftsmanship. 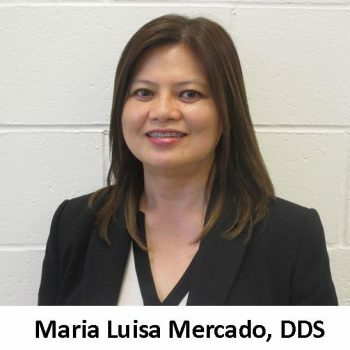 Dr. Mercado obtained her Doctorate of Dental Medicine from Centro Escolar University and joins us with over 30 years of previous dental experience working with organizations including Smile Wide and Western Dental Services among others. She is fluent in Tagalog and is looking forward to assisting CCHC’s staff and its many patients. 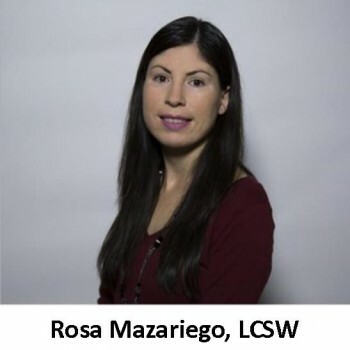 Marisol Rodriguez, LCSW has earned her Masters Degree in Social Work from California State University, Northridge in 2014. Ms. Rodriguez has previously provided intensive mental health services to children, adolescents and families. Fluent in English and Spanish. She enjoys working out and spending time with family and friends. 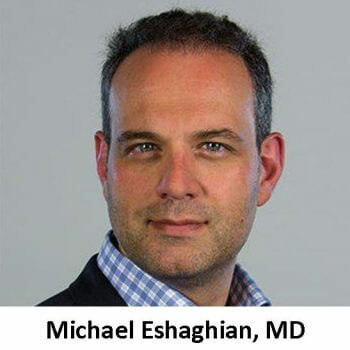 Dr. Michael Eshaghian, MD, is a leading obstetrician and gynecologist serving Encino, Tarzana, Sherman Oaks, Woodland Hills, and Studio City, California, offering a broad array of treatment options for women of all ages. After earning his Bachelor’s Degree at UCLA, Dr. Eshaghian completed his medical degree at Ross University School of Medicine, followed by a residency in Obstetrics and Gynecology at Nassau University Medical Center, an affiliate of Stony Brook Medical School where he served as Chief Resident. During his residency, he also trained at the Memorial Sloan-Kettering Cancer Center in New York City. Dr. Eshaghian is board-certified by the American Board of Obstetrics and Gynecology and is skilled in the safest, most effective and most advanced techniques to help women enjoy optimal health. 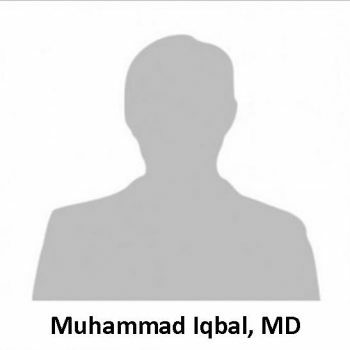 Dr. Iqbal received his medical education from King Edward Medical College in Lahore, Pakistan and joins us with over 15 years of previous experience. He has worked with notable organizations including: Huntington Memorial Hospital, Los Robles Medical Center, Methodist Hospital, and Twin Cities Community Hospital among others. He is board certified in Internal Medicine as well as Nephrology and is fluent in Urdu, Hindi, and Punjabi. Interests include: soccer, basketball, history, and world religions. 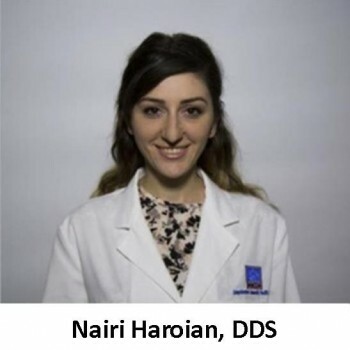 Dr. Nairi Haroian earned her Doctorate of Dental Surgery in 2011 from Ostrow School of Dentistry of USC. Dr. Haroian believes it is through efficient dental practices, dedication and commitment that she will help achieve improved oral health. Continuing education is important to Dr. Haroian. She stays current with her education in an effort to provide the community with new treatment techniques and new materials. 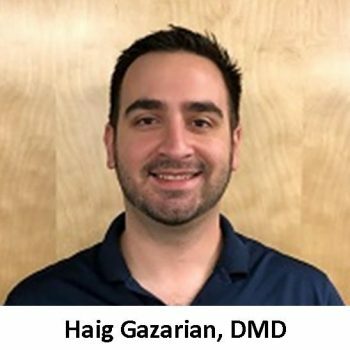 Dr. Haroian has a vivid passion for serving communities with dental needs. Outside of the dental office, Dr. Haroian enjoys hiking, traveling, and spending time with her family. Dr. Haroian also enjoys learning about new places, languages, and ideas from all of her patients. Dr. Haroian is fluent in English and Armenian. 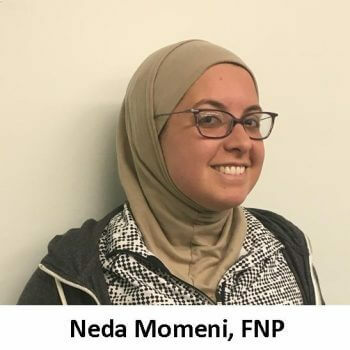 Neda Momeni, FNP is a board certified Family Nurse Practitioner who received her RN from UCLA, and continued her Family Nurse Practitioner education at Cal State LA. She speaks English, Farsi, and Spanish. She is also a competitive swimmer. 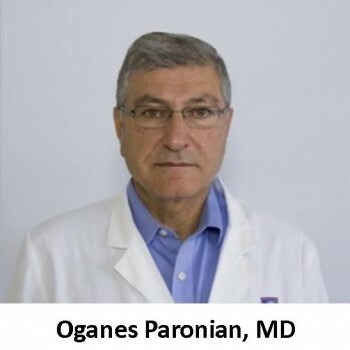 Dr. Paronian completed his internship at Queen of Angels-Hollywood Presbyterian Medical Center in 1995. 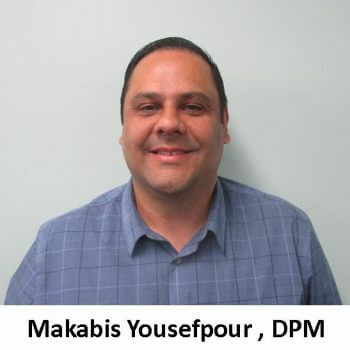 Since, he has worked for various Medical Clinics including: Ter-Zakarian Medical Clinic and Queen’s Care Family Clinic. He is fluent in Armenian, enjoys traveling, and rooting for his favorite team The Los Angeles Lakers. 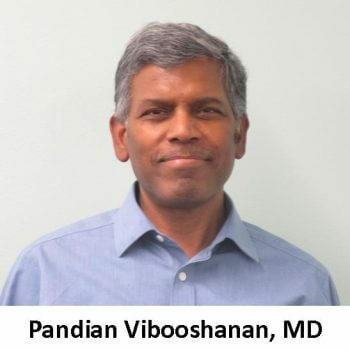 Dr. Pandian Vibooshanan, originally from India, is board certified in pediatrics. He has been in pediatric practice for the past 26 years. He is married with 2 children and likes to read. 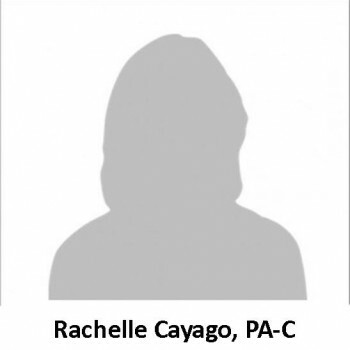 Ms. Cayago received her medical degree from Western University of Health Sciences in Pomona, CA and completed her rotations at various medical centers including Chino Valley Hospital and Arrowhead Medical Center. Since, she has practiced at clinics including: Tweedy Medical Clinic, Clinica Medica Familiar, and Magnolia Women’s Center. Ms. Cayago is fluent in Tagalog. Ms. Mazariego received her Master of Social Work from the University of Southern California in 2010. 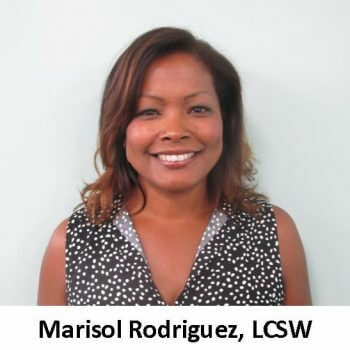 She is fluent in Spanish and her previous experience includes positions held at Community Family Guidance Center, Pacific Clinics, and Hillsides. Ms. Mazariego enjoys various activities, including walking, spending time with family, and watching movies. 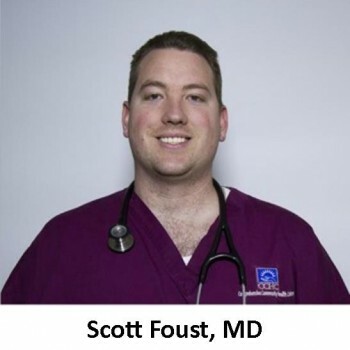 Dr. Foust received his medical degree from University of Southern California/Keck in 2006 and continued his pediatric residency at Los Angeles County until 2009. Dr. Foust enjoys traveling and has lived abroad for a number of years prior to moving back to California. 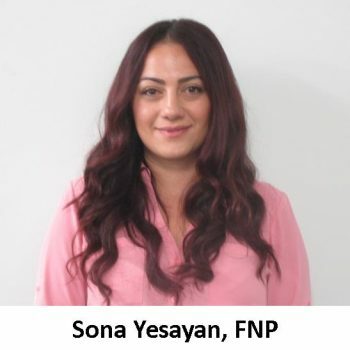 Sona Yesayan is a Family Nurse Practitioner specializing in patients across the lifespan. She has been a critical care nurse for 8 years and has also trained in the heart catheterization lab. She is fluent in both English and Armenian. When she is not working, she enjoys traveling and being outdoors with her family. Taline Garabedian received her B.S. in Biology from Pepperdine University in Malibu, Ca. 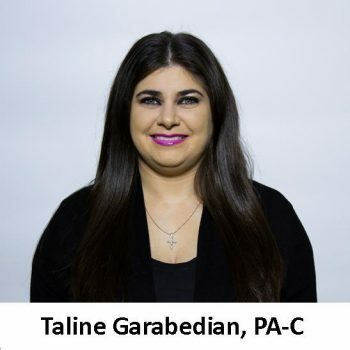 Taline continued her studies and received her Master’s in Physician Assistant Studies from Western University of Health Sciences. Taline enjoys working with and helping the under served. Taline is fluent in Armenian and Spanish. Dr. Alaev received her medical degree from Tadjik State Medical Institute in Russia in 1982. Prior to coming to the United States, she worked as a pediatrician for over 10 years. She completed both her internship and residency at King/Drew Medical Center in 2002. In addition to her work at CCHC, she has evaluated newborns at Providence St. Joseph Medical Center in Burbank for the last 10 years. Dr. Alaev is fluent in Russian. 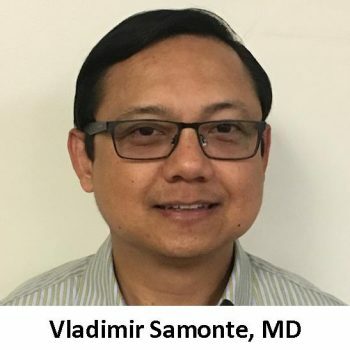 Dr. Vladimir Samonte, M.D. received his medical degree from University of the Philippines College of Medicine. He completed his internship and residency in State of University of New York Health Science Center at Brooklyn. 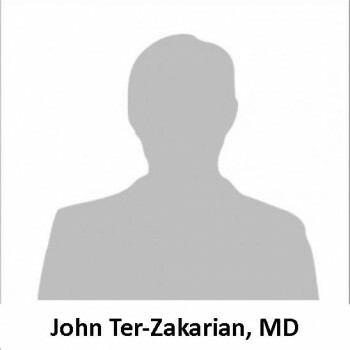 He is highly trained and qualified board-certified physician specializing in Internal Medicine. During his training he had the pleasure of taking care of diverse patients and looks forward to continuing to patient care. 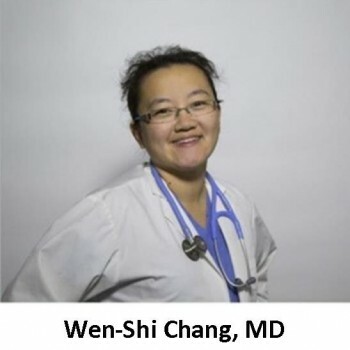 Dr. Chang received her medical degree from St. George’s University School of Medicine in 2008 and continued her education with a residency at the University of Medicine & Dentistry of New Jersey. Dr. Chang is fluent in Mandarin and Korean and has a zeal for community involvement. 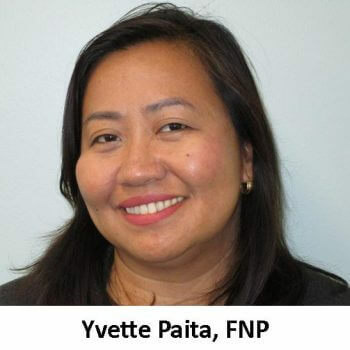 Yvette Paita is a Board Certified Family Nurse Practitioner, and also a Licensed Registered Nurse. She is fluent in both English and Tagalog. Yvette enjoys spending time with her kids and loves to travel. At CCHC, we are dedicated to ensuring you receive the care you need regardless of ability to pay, race, religion, age, gender or sexual orientation. We have many programs that help us to provide services at little or no cost to you, and our team can help you determine if you qualify. CCHC also accepts cash payments based on your ability to pay. We can offer a wide variety of services through a Sliding Fee Discount Program. The Sliding Fee Discount Program is available to all eligible patients, and is calculated based on annual household income and family size per the federal poverty guidelines. If you have questions or wish to apply for a Sliding Fee Discount Program or if you wish to apply to one of the health insurance programs (Covered California, Medi-Cal, or My Health LA), please contact the health center directly. For more information about the options, please click here. CCHC is dedicated to providing a positive patient experience. Our team wants patients to be active participants in their wellbeing, so we encourage questions and feedback. Along with providing the best care, we want to ensure that you enjoy your time with us. We appreciate you choosing us as your healthcare provider. Let’s work together to make sure we can deliver the best quality of care and experience possible! Patient Satisfaction Survey – Access online at https://survey.zohopublic.com/zs/PwCudl or ask for the survey during your next visit. Patient Advisory Committee – Email us at experience@cchccenters.org if you’re interested in joining our improvement efforts. Make a suggestion! – Ask where the comment box is during your next visit or send us a message at experience@cchccenters.org. We look forward to hearing from you and please give us time to respond. CCHC provides high quality, affordable health care services for you and everyone important to you. CCHC wants to be your medical home built on the foundation of sensitivity, respect and trust. CCHC offers a comprehensive approach to health care and strives to be a one-stop shop for your health care needs including primary medical care, dental care, behavioral health, vision, preventive health care, case management, and other specialty services. Please contact the health center directly to schedule an appointment! CCHC provides low-cost comprehensive primary care for all ages. CCHC provides low-cost comprehensive primary and preventive care for women, men, and children of all ages. Our providers strive to provide the best level of care in order to improve the health and well-being of all patients. Please contact the health center directly to schedule an appointment. Pediatrics – Our pediatricians provide comprehensive, compassionate care to infants, children and adolescents. We are dedicated to the healthy growth and development of your child. Our priority is to deliver care at the highest level so that each child can reach their greatest potential. CCHC provides quality dental services for children, teens, adults, and pregnant women in a warm and friendly environment. CCHC provides quality dental services for children, teens, adults, and pregnant women in a warm and friendly environment. CCHC’s friendly and knowledgeable staff are committed to understanding and meeting the needs of all patients. When you visit CCHC, your smile and comfort are top priority. * Dental services are only available at our Glendale, Eagle Rock, and Sunland clinics. CCHC provides vision services with a comprehensive eye exam and eye disease management that maintains eye health. Your eyes are an important part of your health care. The vision team will work with you to make sure your eyes are healthy and ready to see the world. 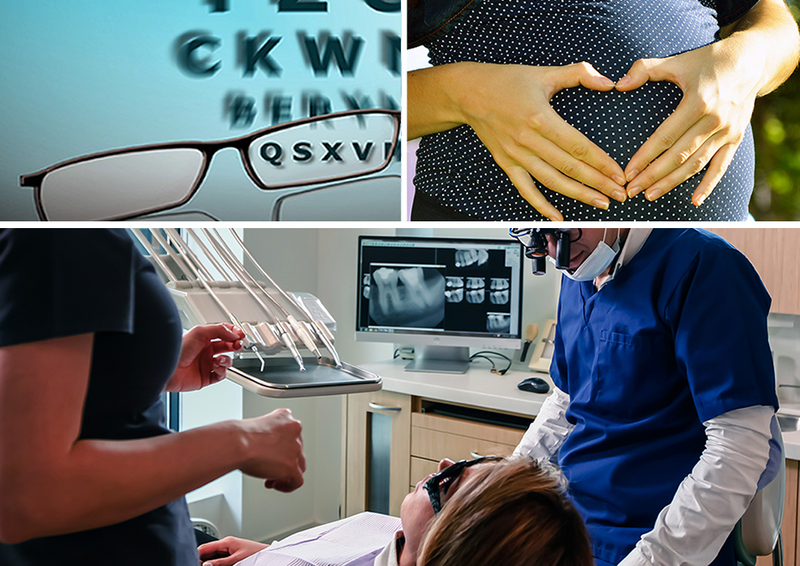 * Vision services are only available at our Glendale, North Hollywood, and Sunland clinics. CCHC provides a full range of primary and preventative healthcare services to women including well woman exams and prenatal care. CCHC offers the best prenatal care to help expectant mothers and fathers through each step of the pregnancy from your first lab work or ultrasound through your delivery. The prenatal program at CCHC combines routine obstetrical (OB) care and other supportive services to expecting mothers. A unique component to CCHC’s prenatal program is the Comprehensive Perinatal Services Program (CPSP), which helps enhance the patient experience, and helps create healthier moms and babies. In addition to OB care with a CCHC Provider, through our CPSP program, Prenatal Coordinators offer one-on-one confidential visits to address patient needs. Baby Showers – Celebrate the journey with other families! Fun-filled Baby Showers are offered to all expectant moms enrolled in our CPSP program. Enjoy a healthy lunch, play games, win prizes, obtain valuable information from speakers and receive a take home gift bag. The CCHC family planning program provides men, women, and teens with comprehensive family planning and other related reproductive and sexual health services. To learn more please visit family planning services. CCHC also offers assistance and services relating to family planning through Family PACT. Family PACT is California’s program to provide comprehensive family planning services to eligible low-income men, women, and adolescents for free. There is no minimum age for enrollment in Family PACT. Please ask the front desk staff for help with the application. CCHC is a Title X provider, which is a federal program that provides comprehensive family planning and other related reproductive and sexual health services to low income and uninsured individuals. CCHC provides behavioral health and access to social services, understanding that it can play an important role in overall health. CCHC provides behavioral health and access to social services because this can play an important role in one’s overall health. CCHC has Licensed Clinical Social Workers (LCSWs) available at each site. CCHC’s primary care providers work closely with the behavioral health providers to ensure a coordinated plan of care. Services are intended to meet the patient where they are in their ability to manage their health. CCHC provides specialty care services. CCHC provides other specialty care services. If you are not seeing a specific service listed, don’t be discouraged. Our care teams will make sure you get any necessary referrals. We have a large network of providers outside of CCHC that we work closely with to ensure you get any additional care you may require. We want to help treat the whole person or whole you! Pharmaceutical Services – Getting medications can sometimes be a challenge, but it is important at CCHC that we address any barriers that may prevent our patients from obtaining and adhering to prescriptions. Taking the necessary medications prescribed by one of our licensed healthcare professionals for improved outcomes is important to us. CCHC has many partnerships in place to offer a variety of pharmacy location pick-ups and to help provide financial assistance when possible. We may also be able to help coordinate the delivery of certain medications in some cases. Be sure to speak with a care team member if there are any barriers with obtaining and/or adhering to taking medications. Laboratory – In addition to providing some laboratory services in house, CCHC has partnerships with several laboratories for patient convenience. Connect with someone from the care team to provide you with information about which lab you may be sent to. Make sure you attend your lab appointment and let us know if there are any barriers preventing you from getting necessary lab test done. Having laboratory results can help our care teams make the best decisions with you in relation to your care. Assistance may be available for eligible patients. Radiology – It’s common that our wonderful team of providers will need to take a closer look at what’s happening inside the body by requesting radiology or imaging tests. Just like with pharmaceutical and laboratory services, CCHC has partnerships in place to help provide more options in different areas to serve all our patients. Please note, CCHC may be limited where we can refer patients for certain outside services based on healthcare coverage. We do our best to consider convenience, but in many cases it is ultimately the decision of a patient’s coverage/insurance; not the CCHC team. 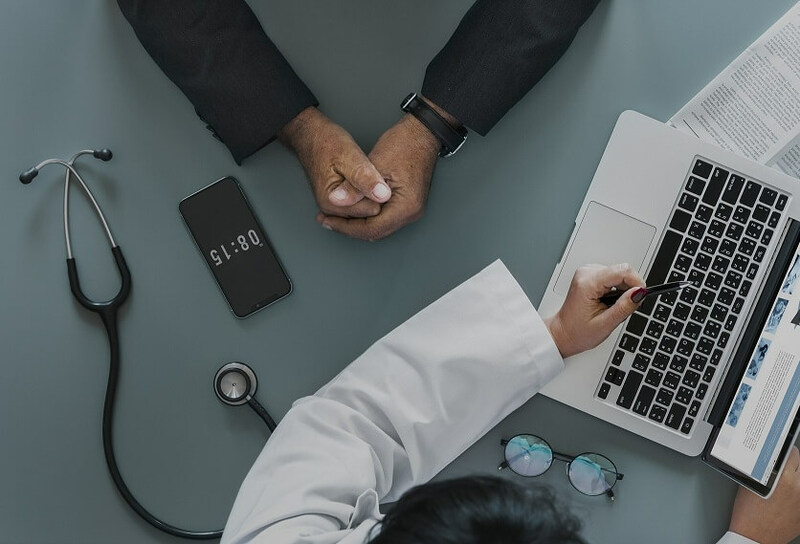 It is the responsibility of the patient to connect directly with their health plan or insurance carrier if they would like to make a change. CCHC may contact an insurance carrier/health plan when time permits, but this is only as a courtesy to our patients and unfortunately is in no way an obligation. However, we are always happy to help point our patients in the right direction regardless of their coverage, lack of coverage, or any other reason. Please don’t hesitate to connect with any member of the team if you have questions or need assistance at any point during the journey. Apr. 23rd 6:00 p.m. - 7:00 p.m.
Apr. 25th 6:00 p.m. - 7:00 p.m.
May. 7th 6:00 p.m. - 7:00 p.m.
May. 15th 12:00 p.m. - 1:00 p.m.
May. 22nd 6:00 p.m. - 7:00 p.m.
May. 28th 6:00 p.m. - 7:00 p.m.
May. 30th 6:00 p.m. -7:00 p.m.
CCHC offers various health education to patients, family, and friends across all locations. CCHC’s Health Education Department is committed to enhancing the health, wellbeing, and quality of life of our patients, staff and community members. CCHC welcomes patients and community members to attend classes to learn more about health nutrition and wellness. All Health Education classes are offered at no cost at various CCHC locations for all patients and their families. Please see the class schedule for dates and times, descriptions and for registration purposes. You can also contact our Health Educator directly by phone at (818) 265-2258. CCHC’s enrollment program provides individuals and families with insurance enrollment assistance from certified enrollment counselors. CCHC’s enrollment program provides individuals and families with enrollment education and support from Certified Enrollment Counselors (CEC). A Certified Enrollment Counselor can answer any questions you may have regarding health insurance coverage and can help you apply. If you are interested in scheduling an appointment with a Certified Enrollment Counselor, please call 818-630-2296 or click the button below to request to be contacted by a Certified Enrollment Counselor. Have a Certified Enrollment Counselor contact me! Below is additional information about Medi-Cal, Covered California, My Health LA and the Sliding Fee Discount Program. 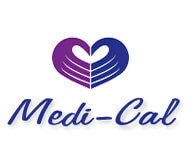 The California Medical Assistance Program or Medi–Cal is California’s Medicaid program serving low-income individuals, including families, seniors, persons with disabilities, children in foster care, pregnant women, and childless adults with incomes below 138% of federal poverty level. Medi-Cal enrollment is open year-round. To get more information on eligibility requirements or to schedule an appointment with a Certified Enrollment Counselor, please call 818-630-2296 or click the button below to request to be contacted by a Certified Enrollment Counselor. Our Sliding Fee Discount Program is available to all eligible patients who meet the eligibility guidelines. The eligibility requirements are based on the federal poverty guidelines published annually by the U.S. Department of Health and Human Services and is subject to change. The discounts for the program are based on the patient’s family size and household income. If you have questions or wish to apply for the discount, please contact the health center directly. 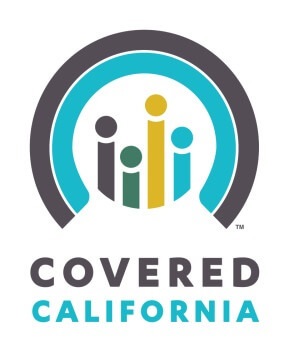 Covered CA is the state’s insurance marketplace. Covered CA offers affordable and low cost health insurance options. Based on your income, you (and your family) may qualify for assistance through Covered CA. You must have a qualifying life event during the Special Enrollment period. If 60 days pass from the event and you do not enroll into a plan, you will have to wait until the next Open Enrollment period. Covered California offers a variety of health plan options. For more information regarding eligibility or to schedule an appointment with a Certified Enrollment Counselor, please call 818-630-2296 or click the button below to request to be contacted. 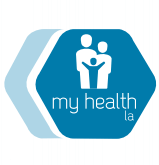 My Health LA is a no cost health care program for people who live in Los Angeles County and meet the eligibility requirements. It is a free health care program for individuals and families who do not have, and cannot get, health insurance. For more information about eligibility or to schedule an appointment with a Certified Enrollment Counselor, please call 818-630-2296 or click the button below to request to be contacted by a Certified Enrollment Counselor. The community outreach program provides individuals and families with information related to all CCHC services, with the goal of linking the community to needed services. The Community Outreach team provides individuals and families with information related to all CCHC services, with the goal of linking the community to available health services. 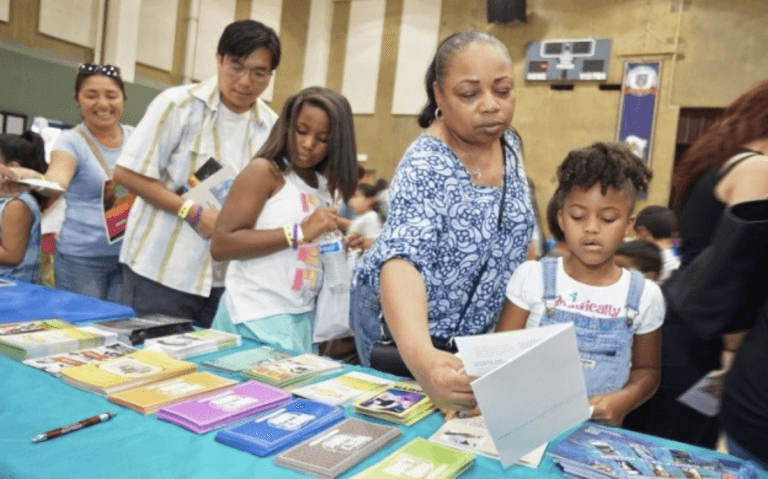 CCHC’s Outreach Team hosts annual events and implements various initiatives to educate the community and connect them with much needed community resources. In line with CCHC’s mission, the Outreach team is committed to ensuring the health and wellness of those in our community by providing them access to educational materials, health services, and resources. Our Outreach team organizes and hosts various events and conducts health education sessions throughout the year in an effort to connect our community to care. Annual Back to School Health and Wellness Event: In celebration of the National Health Center Week that takes place in August of every year, CCHC hosts its Annual Back to School Wellness Event to provide children in our neighboring communities with backpacks and school supplies, and ensure they are well prepared for the upcoming school year. Annual Toy Giveaway and Health Fair: In celebration of the holiday season, CCHC hosts its Annual Toy Giveaway and Health Fair to provide children in our community with a brand new, unwrapped toy. Our team is dedicated to ensuring children and their families receive free preventative care screenings and resources, and encouraging them to make their health a priority in the upcoming New Year. Miles of Smiles Initiative was created to educate children and their families on how to maintain oral hygiene. CCHC’s Health Educators partner with local community organizations to provide knowledge and access to resources, while implementing and reinforcing positive hygienic practices. Our team also provides educational workshops to community-based organizations on topics related to CCHC services, access to care, family planning, reproductive health, healthy living, and other health related services and programs. 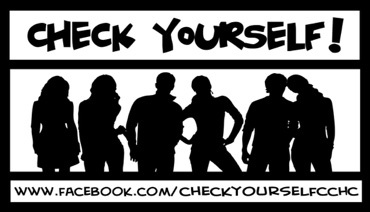 Check Yourself! is a CCHC developed campaign funded by the federal Title X family planning program. Check Yourself! is intended to engage adolescents, teens, and young adults about family planning and other related reproductive health issues. We partner with middle schools, high schools, community colleges and other community based organizations that provide services to adolescents, teens, and young adults. Check Yourself! is aligned with California Education Codes 51930-51939 and is intended to help fulfill some of the Health Education Content Standards for California public schools. For more information about our Community Outreach activities please contact us at outreach@cchccenters.org. Are you looking for a place where you and your family can find quality health services and a team of medical professionals in a trusted environment? Then look no further than Comprehensive Community Health Centers. Our goal is to make it easy and comfortable for you to meet all your health care needs in a way that works for you. Our medical home model starts with the relationship between you and one of our highly qualified and experienced primary care providers, who will work with you to set your personal health goals. Prior to your first appointment, please complete and bring the following forms in order to expedite your check-in process. If you’re interested in scheduling an appointment, please contact the health center directly. Translation – Need assistance with communicating during a visit? CCHC will gladly accommodate! We have numerous services available to help us communicate with our patients. This ensures courteous, consistent and efficient communication that is appropriate for everyone whenever possible. In addition to some of the wonderful bilingual staff we have in all our clinic sites, our teams can also utilize interpreter services, which may be available through insurance or available through other agencies CCHC has partnered with. All material and documents are available in the various languages upon request and our interpreting services and language appropriate speakers are available when calling by phone during clinic operating hours and after hours. Sign language and hearing impairment services are also accessible. Here at CCHC, we are able to assist with getting all patients the interpretation services they need. Please let us know if there is any communication assistance needed and our team will be delighted to coordinate. Coverage for Emergencies After Hours – It is a top priority for us as an organization that everyone remains safe. This is why we have processes in place after office hours to make sure patients remain as safe as possible. All our staff are versed and trained on what to do in the event of any sort of emergency, including medical emergencies. We also want all our patients to have access to care, information, and resources that address health concerns and problems after regular operating hours in different languages and that fits a wide variety of comprehension. Use our Locations or Contact Us to find out more about hours of operations and phone numbers to call. These numbers will connect you with licensed professionals after regular office hours to address medical emergencies. In the event someone is ever experiencing a medical emergency, please dial 911 immediately or visit an emergency room or emergency department. Transportation – At CCHC, it is important that transportation not be a barrier for accessing our services, including referrals. We want to make sure that getting to us, traveling between sites, and other relevant appointments has minimal barriers whenever possible. For those who do not have transportation, don’t worry, there are options! One is to potentially take advantage of our free transportation services. Another may be coordinating transportation through the patient’s insurance carrier, if available. Outside of CCHC and insurance carriers, there is coordinating with family and friends, public transportation, and potentially ride sharing services and applications. Connect with any care team member to discuss your options. At CCHC we are focused on improving the health and overall wellbeing of all patients. We strive to provide the best of care, including community resources for those in need. Please click on the links below to obtain more information on how to access resources such as, food banks, shelters, domestic violence, substance abuse and more. Interested in joining a team that desires to make a difference in the community? You have come to the right place! Interested in joining a team that desires to make a difference in the health of the community? You have come to the right place! Comprehensive Community Health Centers (CCHC) is a Federally Qualified Health Center (FQHC) that provides medical, dental and mental health services to the underserved in the metropolitan Los Angeles and San Fernando Valley areas. Providing excellent health care services to those that would otherwise not have access to care is at the heart of everything we do. When looking for people to join our team, it is important that we find skilled professionals who share our passion for providing excellent care to the underserved. Please read through our mission statement to see if CCHC is a team you’d like to join. Our team takes pride in helping the underserved. We look forward to hearing how you will contribute to our mission! CCHC is looking for interns and volunteers to help fulfill its mission and vision. Intern and volunteer positions vary in flexibility by project(s). Opportunities are waiting for you in many areas including health education, community outreach, clinic operations, patient engagement, patient satisfaction, etc. Please feel free to leave us a comment on how we are doing or contact us with any questions or concerns! If you or your family member is in need of urgent or emergency care, please call 911 or go to the nearest hospital. Messages to the webmaster are restricted to general communications questions or comments regarding Comprehensive Community Health Centers. For patients with patient portal access, log-in to your patient account to send a secure email message via the patient portal. If you do not have a patient portal account, need help creating an account or have issues logging into your account, please email our patient experience team at experience@cchccenters.org. NOTE: Do not use this page to send personal health information, request appointments or inquire about your medical care. All messages sent to the webmaster will typically be answered within 3 business days of receiving it. This project is/was supported by the Health Resources and Services Administration (HRSA) of the U.S. Department of Health and Human Services (HHS) under grant number H80CS10607 Health Center Program, total award amount of $2,493,062 with 88.9% financed with nongovernmental sources. This information or content and conclusions are those of the author and should not be construed as the official position or policy of, nor should any endorsements be inferred by HRSA, HHS or the U.S. Government.